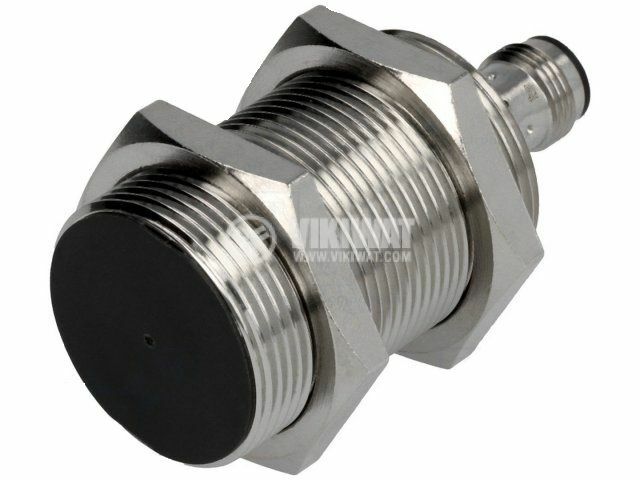 Proximity switch sensor E2B-M30KS10-M1-B1 with connector M12, dimensions M30 x 64 mm, 10 - 30 VDC supply voltage, PNP output with NO contact and 10 mm detection range. mounting - thread M30mm along the sensor, 2 S36mm nuts. The sensor connector is sold separately.